CLEVELAND, Ohio – As Ohio Republicans won the race for every statewide executive job from the governor on down this year, something different happened in lower-profile races. The Democrats actually collected more total votes in the 116 Ohio House and Senate elections across the state, cleveland.com found in tabulating the unofficial returns. It’s a takeaway from Election 2018 that isn’t the usual headline grabber. 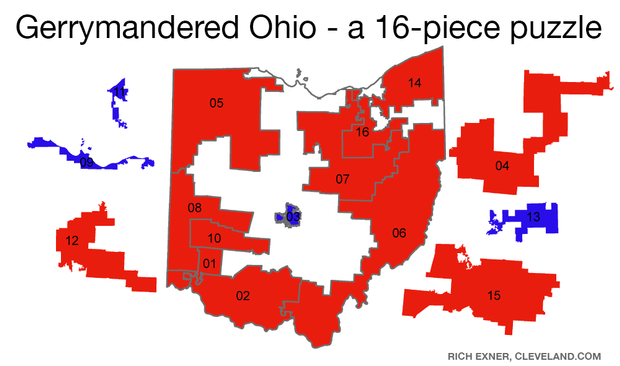 More importantly, in terms of controlling Ohio’s government, the GOP won 72 of the 116 Statehouse races. But the Republicans scored their wins for 62 percent of the seats while collecting just under 50 percent of the total vote. The next set of maps will be different to at least some extent. previous post: “You shouldn’t need a college degree to be part of the middle class.” Count on this to become a new national Democratic theme.